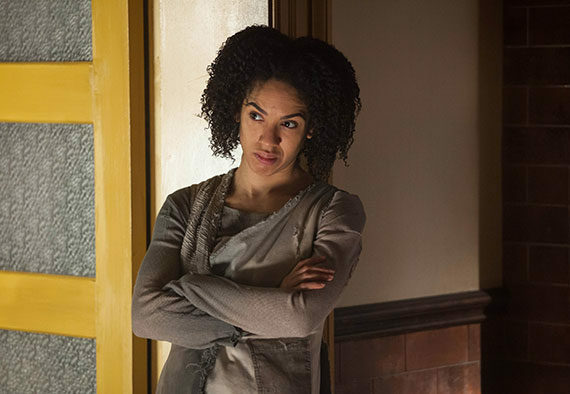 The penultimate episode to series 10 charters a new path for Missy as the Doctor enlists Bill and Nardole to act as her companions while she pretends to be 'Doctor Who' for the day. But before the titles even role, we're bombarded with the image of the Doctor glowing a glow that misty, golden regeneration energy signalling an end to his current incarnation. Rewind to Missy's mission and we find a 400 mile long spaceship emitting a distress signal when Missy mockingly arrives and surveys the situation with as much sass and mischief as you'd expect but with a bucket load more. Michelle Gomez is dazzling and wickedly naughty as she switches between cunning scientist to arrogant Time Lady. More so, the direction from Rachel Talalay as the Doctor explains his past history with the Master in correlation to Bill getting shockingly killed in so short a time, is a effective use of distracting us from her unexpected death. As Bill is escorted away by 'the patients' to be repaired, the trepidation of Bill's recovery to the Doctor's explanation of how time moves slower the closer you are to the source of gravity added suspense and fear. In particular, Bill following the echo of the word 'pain' repeated incessantly by one of the Mondasian Cybermen was an unnerving and extremely horrifying moment. As she befriends The Master in disguise, her solitude counteracts the Doctor's reconciled friendship that he begins to form with Missy. Once they reach the lower half of the ship, The Master reveals himself to Missy with sinister delight and satisfaction. John Simm performs with a slightly more mature menace with a goatee beard not too unlike that of Roger Delgado's Master. The ship's conversion is absent throughout most of the episode yet subtly hints at Missy's personal evolution while prompting the question of whether survival holds any meaning when your humanity is exploitatively removed. 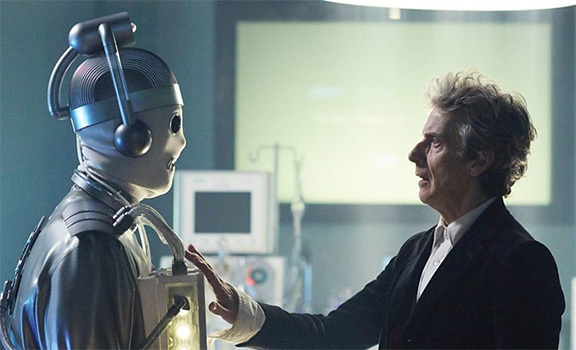 Peter Capaldi is vividly creative in his performance; his desperation at Bill's sudden death and resistance at feeling hopeful of Missy's evolution are both touching and tragic. World Enough and Time is a suspenseful, tense, gripping and stomach-achingly funny episode that leads into the final episode; headlining a strong position as one of the best episodes if not the best of series 10.